I have been patiently waiting to post this for about 2 weeks now! I have been beyond excited the entire time I have participated in my first foodie pen pal exchange. The rule was to get your box out by the 15th..well I probably had mine out by like the 8th! I had a great time exchanging e-mails with the person I had, and the person who had me. This is most definitely not meant just to be greedy and waiting for your gift like a kid on Christmas, the connecting part was also very precious to me too! 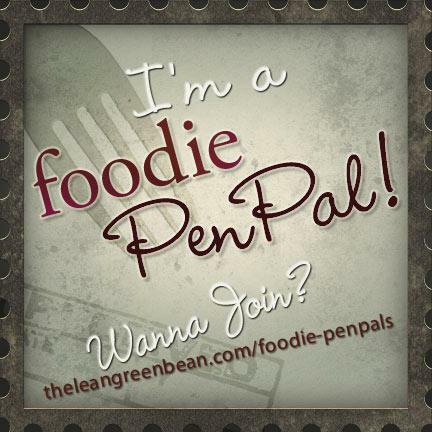 For those of you not aware of the Foodie Pen Pal Program, please read more after my post! My Foodie Pen Pal this month was Shannon Williams from Confessions of a Fat Momma. I was happy to see that her blog was about getting healthy. My blog is far from that! However, I had just started (continuing again..) my weight loss journey. I was paranoid that my first box would be filled with awful things that I will feel guilty about, but I was so pleased that I could nosh on the treats in my box and not feel bad! I was so excited when I saw the package waiting for me on my staircase. I had one of those days and was feeling a bit bummed, but who cannot be absolutely thrilled when they receive a package?! I had made a joke to the boyfriend that ‘It feels like Christmas! But like getting a gift from Grandma, you don’t know which way this can go!’. Of course by that I mean no disrespect, you just get a bit nervous getting a ‘gift’ from someone you’ve only known a matter of 2-3 weeks! I was excited to see the spread of healthy yet delicious snacks. Working in catering I never know when I can sit down to eat a real lunch and sometimes you just have to eat snacks while driving around on deliveries. I’ve been so happy to have healthy snacks to reach for while at work. 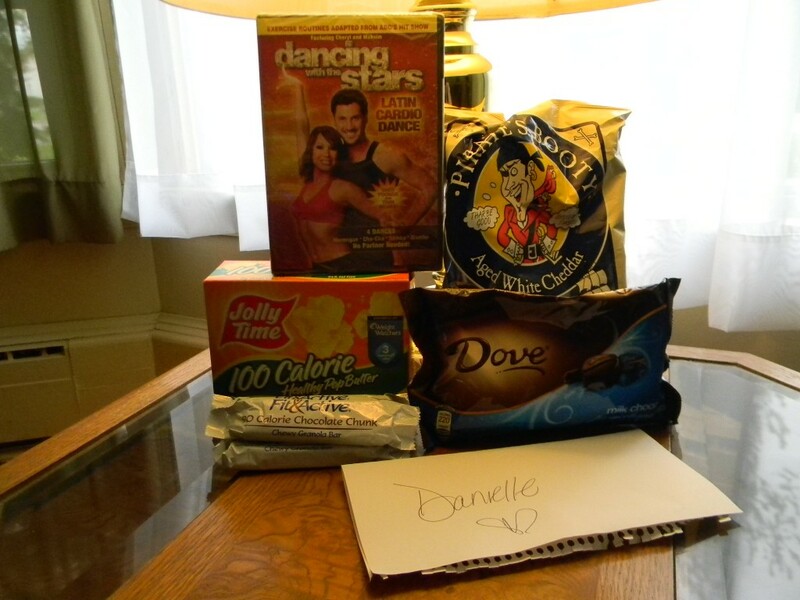 The highlight of the box I have to admit is the Dancing with the Stars DVD. I am one of those people that everyone hates to shop with. I go down the same aisles 16 times..put things in my cart..take them back out…wander around the entire store at least 4 times.. I have to LOVE something to actually purchase it. I have been having the biggest struggle finding a workout DVD (dance in specific) that I deemed worthy of purchasing. I love that she took away that guess work and got me something I have been wanting for a while, and I didn’t even tell her that! She’s just a mind reader I suppose..Thank you to Confessions of a Fat Momma for the thoughtful box and to the Lean Green Bean for making this program a success!